Voting took place yesterday at the Committee of the Internal Market and Consumer Protection (IMCO) meeting in the European Parliament. 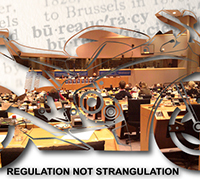 The vote covered over three hundred amendments submitted by MEPs to EU Regulation proposal for motorcycles, (aka the approval and market surveillance of two-or three-wheel vehicles and quadricycles) and a draft report submitted by Dutch MEP and Rapporteur Wim van de camp. Watching the webstream of the meeting via EuroparlTV, it was hard to keep up with the voting so rather than make a mistake we will be waiting for the published report, which is due in the next few days, before giving our comments. Mr van de Camp and the chair of the IMCO UK MEP Malcolm harbour commented during the meeting that emissions would be reduced and the safety of motorcycles improved. Although there were still technical issues regarding brakes with talks on going and modifications and anti-tampering to be considered after the vote and before the regulation goes before an European Parliament plenary session for voting. While the dust has settled over the vote to the amendments to the regulation proposal, there is a long way to go to yet. The Council of Ministers may not agree with the report from the IMCO that changes the European Commission proposal and the European Commission may not agree with the amendments to their proposal. As reported previously the Commission’s Motorcycle Working Group (MCWG) will be meeting on December 14th to discuss the status of the proposed regulation it will be looking at studies regarding – durability – powertrain tampering prevention and the introduction of new planned studies. We are led to believe that the preliminary study results from TRL regarding powertrain tampering will be published for this meeting. This working group made up of stakeholders, including FEMA, FIM and Member States Government representatives will be looking at the drafting of the delegated and implementing acts of the regulation. These will be based on facts and technical arguments and in particular related to – Regulation on vehicle functional safety requirements (RVFSR) – Regulation on environmental and propulsion performance requirements (REPPR) – Regulation on vehicle construction requirements (RVCR) – Regulation on administrative requirements (RAR). It is the contents of these acts or rather, the lack of information that is causing angst amongst riders. “In the view of IMCO, as from 2016 motorcycles will have to become cleaner and manufacturers must apply ABS, even for light motorcycles. And as from 2014, measures to prevent powertrain modifications (which are still to be developed) must be applied and users shall present their bikes for inspection when carrying out “substantial” modifications. Today’s vote can be seen as a reference and recommendation for the final vote of the European Parliament, which is expected to be held by the beginning of 2012. Before the vote was carried – about 35 IMCO members voted around 100 times on compromises, single amendments and blocs of amendments – IMCO chairman Malcolm Harbour referred to an impact assessment, dealing with timelines, emission limits, ABS and anti-tampering measures, which has just started and whose outcome is expected to influence Parliament’s final vote. With regard to powertrain modifications [Article 18] IMCO adopted a compromise in line with the European Commission’s logic, with delegated acts laying down measures for manufacturers to prevent subsequent modifications by the user that may have adverse effects on safety or the environment. According to the FEMA General Secretary “This regulation contains many good parts FEMA is in line with, like durability requirements and improved access to repair and maintenance information for the user. So although the dust has settled for now an understanding of the next steps is required to move forward in the decision process, as riders you may not like the EU but it is what we have, for now, as FEMA communicated to us, they are focusing their action on following the decision process as close as possible. This may not be the direct action of more protests and demo rides that riders are already suggesting should take place but it is the necessary work that needs to be processed, understood and explained in detail so that there is no misperception in the details and complexity. We have seen in the UK and Ireland how passionate riders are regarding this proposal and many of us have raised our concerns about the outcome of the proposed regulation. Given that the amendments to the IMCO report to bring forward the date on ABS and extend it to smaller motorcycles and given that there was an addition to Article 18 (Article 18a), which were put in by German MEPs, what are the three German riders’ organisations doing to lobby their MEPs? Biker Union, BVDM and Kuhle Wampe are listed as FEMA members, but we see nothing on their websites at all about the proposal and any lobbying that they may have done to the their MEPs. 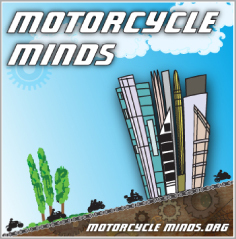 As reported previously, we have contacted each of the seven political groups in the European Parliament asking them for their opinion regarding the proposal, especially surrounding the issue of anti-tampering and how this would or not affect motorcyclists from the custom of modifying their motorcycles. On top of this we have also contacted the Rapporteur and Shadow rapporteurs in the IMCO committee, we asked them their views on the proposal and the amendments especially any that they may have submitted. What are your reasoning and justification to take this approach? Did you take the opinion or views of motorcyclists in consideration before submitting the amendment/s? Was this entirely your opinion or view or those of your party or political group, or other lobbying by industry or other interested parties? What do you think the implications of the regulation will have on the ability of motorcyclists to legally modify or customise their motorcycles/trikes? 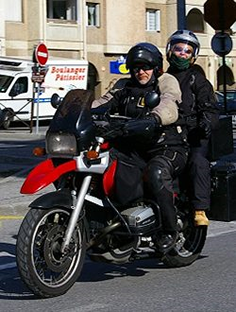 What do you think the implications of the amendments submitted regarding Article 18, will have on the ability of motorcyclists to legally modify or customise their motorcycles/trikes, including disabled riders to adapt their motorcycles/trikes to their disability? With regards to mopeds, although the Commission has been unable to provide evidence that tampering of mopeds is wide spread, the Commission wishes to extend anti-tampering measures to L1 and L2 category vehicles. However, given that both the Commission and yourselves have agreed to exclude the 74 Kw limit from the proposal and subsequent regulation, you evidently accept that speed is not an issue in relation to the power of the motorcycle. It is a fact that the low speed of mopeds (45 kph) can lead to dangerous situations in heavy traffic in cities such as Rome, Madrid, Paris etc. Would you support an increase in the threshold of speed for mopeds to 55 kph in order that the moped rider can safely manoeuvre in traffic? (That would not only eliminate the danger for these riders, but would also ensure that they have no reason to tamper with the power outlet i.e. modify the power train). We are aware of the Impact Assessment that is being carried out, however regarding ABS (Advanced Braking Systems) and amendments to the fitting of these systems (Antilock Braking Systems (ABS) – Combined Braking Systems (CBS)). Do you not think that rather than technically regulating the type of system to be fitted, that this should be left to the motorcycle industry and innovation and technical advances to decide which systems suit the overall technical specification e.g. scooters and smaller motorcycles? Kersten Westphal gives interview about the importance of ABS brakes. The German MEPs were the ones who added a new article 18a which requires that users seek inspection and approval “by the competent authorities” in case of substantial powertrain modifications. “A modification is deemed to be substantial when it renders the original type approval obsolete” or when it harms safety or the environment”. The German MEPs put in amendments so that in 2016 motorcycle manufacturers must apply ABS, even for light motorcycles. And as from 2014, measures to prevent powertrain modifications (which are still to be developed) must be applied and “users shall present their bikes for inspection when carrying out “substantial” modifications”. So what are Biker Union and BVDM (the German riders’ organisations) doing? The most striking thing in this whole process is the complete absence in the European parliament of any official representative of the millions of motorcycle enthusiasts across Europe. Every comment from every Euro official is in support of whatever Mr Van De Camp says with no regard whatsoever for the needs and desires of motorcyclists. Whilst improvements in safety and emmissions are clearly needed, this must not be at the expense of the freedom of motorcyclists to personalise, customise and maintain their own vehicle. The most ESSENTIAL element of ‘OWNING’ a motorcycle, by MY definition (AND I’M CERTAIN THERE ARE MILLIONS LIKE ME), is to make it part of my own personality by modification. I have no desire to own a bike built to someone else’s design other than as a base to create my own. For us, this is not just a means of travelling from A to B, this is FREEDOM OF EXPRESSION, this is LIVING, BREATHING ART and it MUST be allowed to continue. An entire art form is being strangled into extinction and it seems no-one in power cares. Customising bikes and cars has been my greatest joy in life, I’ve taught my kids this same pleasure, but for what? By the time they’re old enough to ride they’ll hardly be allowed to put a sticker on their bike! New rules to make motorbikes safer and more environmentally friendly got the thumbs up from Parliament’s Internal Market Committee on Monday, when it adopted a report on a common system of type approval for powered two-wheel vehicles ranging from mopeds to heavy motorcycles. The committee points out that Europe’s cities would be much less congested and cleaner if more two-wheeled vehicles were used. However, given that motorbikes, scooters and mopeds currently account for 16 per cent of the deaths on Europe’s road, even though they only make up two per cent of traffic, they must be made safer. The committee says that under the new rules to be met by the motorcycle industry, anti-lock braking systems (ABS) must be fitted to all bikes with engines above 51 cc. This is stricter than the Commission’s original proposal of mandatory ABS systems for bikes over 125 cc. MEPs stress that manufacturers must provide unrestricted access to vehicle repair and maintenance information for everyone, including independent dealers and repairers, to ensure that the vehicles are maintained safely. Two, three and four-wheel (L-category) vehicles emit a disproportionally high level of pollutants. MEPs want to bring down these levels by extending the Euro 3 standards to mopeds from 1 January 2016, with the more stringent Euro 4 and Euro 5 standards for heavy motorbikes from 2016 and Euro 6 limits from 2020. The committee is also calling on the Commission to carry out a comprehensive environmental impact study by 1 January 2016 to evaluate the air quality and share of pollutants contributed by L-category vehicles.. It welcomes the gradual introduction of increasingly advanced On-Board Diagnostics (OBD) systems to monitor malfunctions and hence make information on emissions easily available so that the vehicle can be repaired. A total of around 30 million vehicles are included in the L-category which covers a wide range of vehicles including motorbikes, scooters, mopeds, electric bicycles, all terrain vehicles and quads. Mr Van De Camp’s draft report was adopted by 28 votes, with none against and three abstentions. The committee will now decide on whether to open negotiations with the Council with a view to reaching agreement.at first reading on the new regulation harmonising conditions for the approval of L-category vehicles.